Chairman, Comcast Spectacor and Founder, Philadelphia Flyers Ed Snider was an icon – an entrepreneur, a passionate philanthropist, a risk-taker for the greater good, and a true visionary in the sports and entertainment industry. Driven to succeed from an early age, Ed Snider would bring a new team and a new industry into existence, rooting them into the fabric of the city he quickly fell in love with; one that adopted him as its own. In 1973, leveraging his knowledge of the sports and entertainment worlds, he created Spectacor as the management company to oversee the Flyers and the Spectrum. This move helped launch an entire industry – private management of sports and entertainment facilities. In 1976, Ed Snider’s vision turned to broadcasting. He created PRISM – the first 24-hour regional cable network in the nation to combine sports and movies. Over the next 20 years, Spectacor experienced significant growth, earning national acclaim for its impact in the sports and entertainment industry. Under Ed Snider’s guidance, Spectacor developed and acquired nearly a dozen related lines of business including WIP-AM, which later became one of the first all sports radio stations. Spectacor was renamed Comcast Spectacor after Comcast Corporation acquired the Philadelphia 76ers in 1996 and then merged with Spectacor. The company has repeatedly been recognized as one of the most successful companies in the industry and as an unparalleled innovator. Until his death, Ed Snider served as chairman of Comcast Spectacor. In the early 1990s, Ed Snider had yet another vision for the city he loved: to create a state-of-the-art arena for the Flyers and the 76ers. He worked with city government and the business community to privately finance and build what is today called the Wells Fargo Center, which opened in 1996. It has since become a must play destination for the best people in the sports and entertainment industry to showcase their talent. Today, Comcast Spectacor has three businesses: the Philadelphia Flyers, the Wells Fargo Center and Spectra, the company’s hosting and entertainment division. The Flyers are second in National Hockey League history behind the Montreal Canadiens in all-time points percentage. The Wells Fargo Center is a perennial Top Five arena in North America and Spectra currently manages venues, food services and ticketing for over 300 clients at more than 400 global properties. All of this is a tribute to the man who conceived and steered the growth of the enterprise. One of Ed Snider’s proudest accomplishments was the creation of the Ed Snider Youth Hockey Foundation in 2005. It provides underserved children from urban neighborhoods in Philadelphia and Camden, NJ, with the opportunity to learn to play the game of ice hockey and as a means to succeed in the game of life. The Foundation partnered with the City of Philadelphia and the Commonwealth of Pennsylvania in 2010 to complete a $14.5 million construction project, completely refurbishing four public rinks in the city for year-round use. This project included new classrooms, learning labs, and public meeting space, as well as upgrading these rinks to NHL standards. Snider Hockey now funds and administers programming for more than 3,000 boys and girls at nine inner-city sites. Ed Snider matched every $1 contributed by donors with $2 of his own money. In addition to the legacy of the Ed Snider Youth Hockey Foundation, Ed Snider also created Flyers Charities. The Flyers Wives Carnival, its signature event, is a highly attended annual event hosted by the wives that has raised more than $28 million since its inception in 1977. These charities have impacted millions of people in the region and touched the hearts of millions of fans. The Snider Foundation, Ed Snider’s private family foundation, has been a significant contributor to numerous nonprofit organizations that share and promote the values of limited government, individual and economic liberty, free markets and private enterprise, Jewish culture and survival, fighting anti-Semitism and enriching local communities. 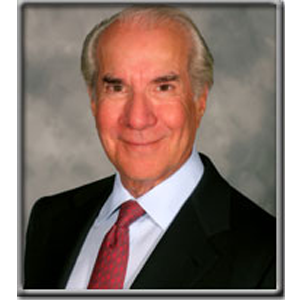 Ed Snider’s business success and philanthropy has been widely recognized. In addition to serving on the NHL’s Executive Committee, he was a recipient of the Lester Patrick Award for outstanding service to hockey in the United States (1980). He also is a member of the Pennsylvania Sports Hall of Fame (1985), the Hockey Hall of Fame (1988), the Flyers Hall of Fame (1989), the Philadelphia Jewish Sports Hall of Fame (1997), the Philadelphia Sports Hall of Fame (2005), the Greater Washington Jewish Sports Hall of Fame (2007), and the U.S. Hockey Hall of Fame (2011). In 1999, the Philadelphia Daily News named Ed Snider the Greatest Mover and Shaker of the Millennium. Later, in 2012, the SportsBusiness Journal acknowledged him with The Champions: Pioneers & Innovators in Sports Business award and he was also ranked 43rd on the 50 Most Influential People in their Sports Business list. He received the Greater Philadelphia Chamber of Commerce’s William Penn Award (2005); the Ellis Island Medal of Honor (2005) awarded to Americans of all ethnic backgrounds who have made significant contributions to society; the Philadelphia Business Journal Philanthropist of the Year (2015); and the Lifetime Achievement Award from the Global Sports Summit (2015). Ed Snider was a proud graduate and generous benefactor of the University of Maryland. He received the prestigious Distinguished Alumni Award from the University of Maryland in 2012. He and The Snider Foundation established the Ed Snider Center for Enterprise and Markets at his alma mater in 2014. He received honorary degrees from Hahnemann University (1985) and Thomas Jefferson University (1999). He was also a benefactor of the Sol C. Snider Entrepreneurial Center of The Wharton School of the University of Pennsylvania; a member of the board of directors of the Simon Wiesenthal Center; and a founder and dedicated contributor to the Ayn Rand Institute. At the time of his death, Ed Snider resided with his wife, Lin, in suburban Philadelphia, and Montecito, CA. At the center of his life’s work were his children — daughters Lindy, Tina, and Sarena, and sons Craig, Jay, and Samuel, as well as his 15 grandchildren. He was also survived by his sister, Phyllis Foreman, and former spouses Martha (McGeary) and Christine (Decroix).